Eliphalet Chapin (1741-1807) opened his East Windsor cabinet shop in 1771 and introduced a new style of furniture to the Connecticut River Valley. Chapin set himself apart from his Connecticut contemporaries by incorporating various elements of Philadelphia-inspired design and detail into his work. 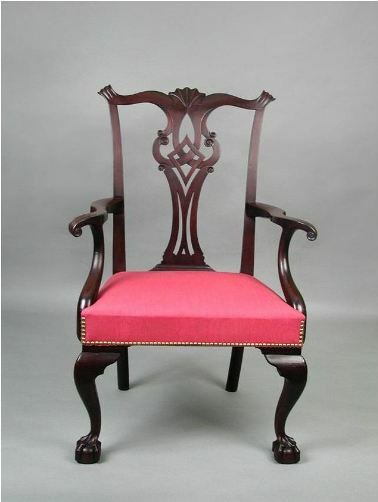 Although born, raised, and apprenticed as a cabinetmaker in Connecticut, Chapin abruptly departed Connecticut to flee a paternity suit in the late 1760s and spent nearly four years working alongside and learning from craftsman in the urban Philadelphia area. On his return, Eliphalet Chapin integrated components of Philadelphia furniture design into his work, including carved decorative shells, elaborate chair splats (backs), claw-and-ball feet, rounded rear (stump) legs (particularly on chairs), and the omission of stretchers between chair legs. Using local resources available to him and adapting to the tastes of Connecticut buyers, Chapin’s furniture departed in some ways from Philadelphia styles. Rather than the rich mahogany wood favored by the craftsmen of Philadelphia, Chapin’s furniture was made from local cherry and pine. Chapin’s use of ornamentation was subdued in comparison to that employed by Philadelphia craftsmen; however, it was still more than most Connecticut furniture-makers were using. The Chapin style spread throughout the region, partly though Chapin’s many apprentices and journeymen. Modern craft furniture makers continue to find Chapin’s work a source of inspiration. Kugelman, Thomas P., Alice K. Kugelman, and Robert Lionetti. 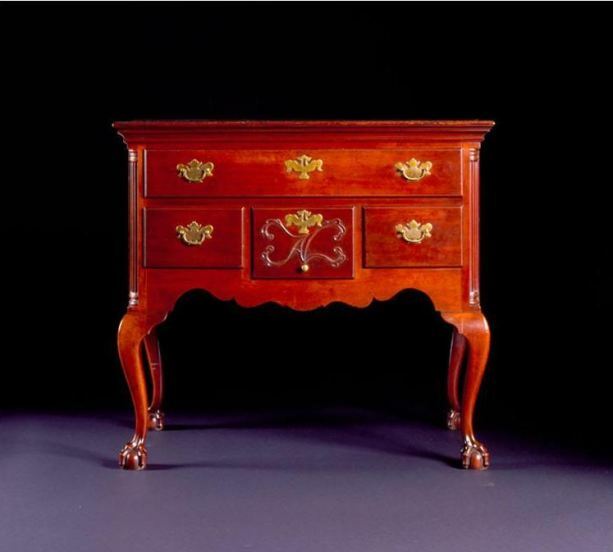 Connecticut Valley Furniture: Eliphalet Chapin and His Contemporaries, 1750-1800. Hartford, CT: Connecticut Historical Society, 2005.